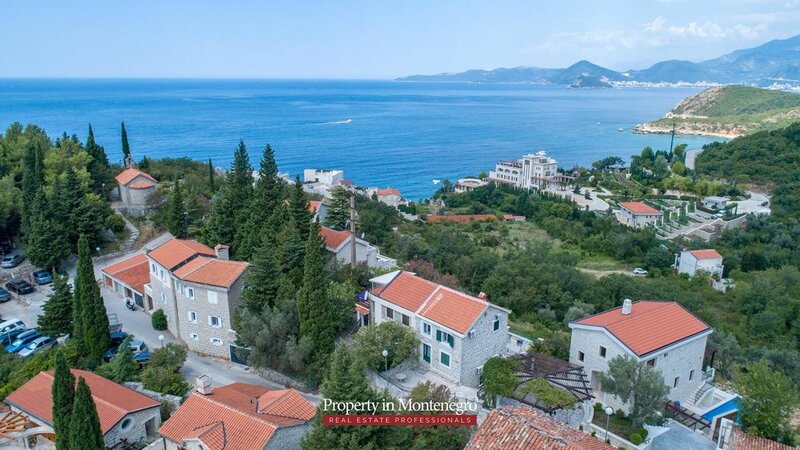 Somewhere in the heart of Budva Riviera, in the middle of the area between Sveti Stefan and Petrovac, hidden in the olive groves, you can find peaceful and beautiful neighbourhood named Rijeka Rezevici. 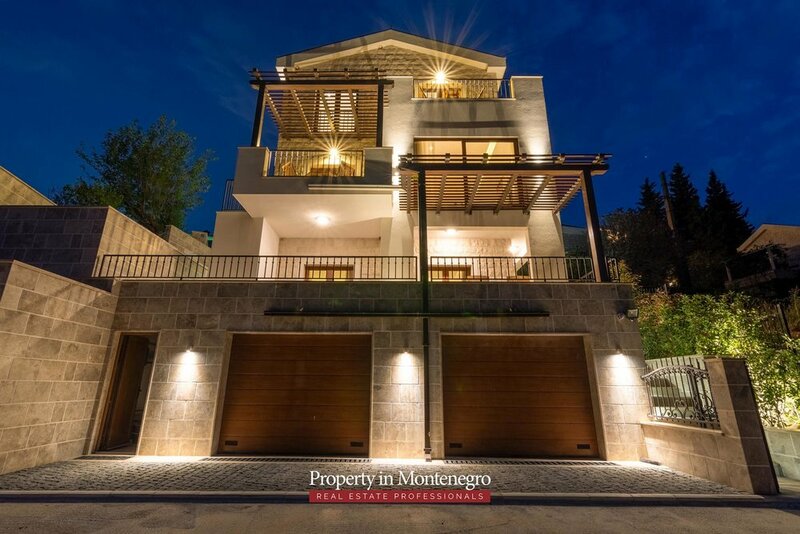 This beautiful stone façade property of 330m2 located on the 550m2 plot provides safe and comfortable place for you and your family. 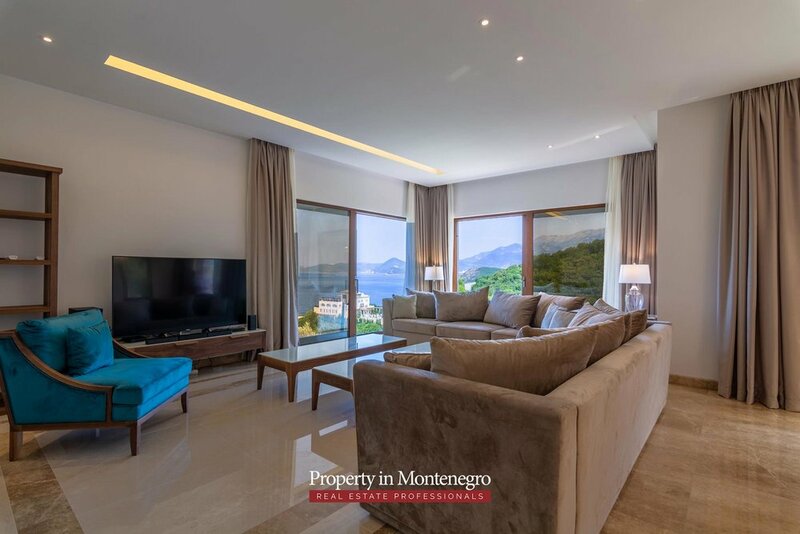 The 4 level villa consists of five bedrooms, five bathrooms, living room and kitchen with the dining room. In addition, it has the space devoted for the gym and the sauna. 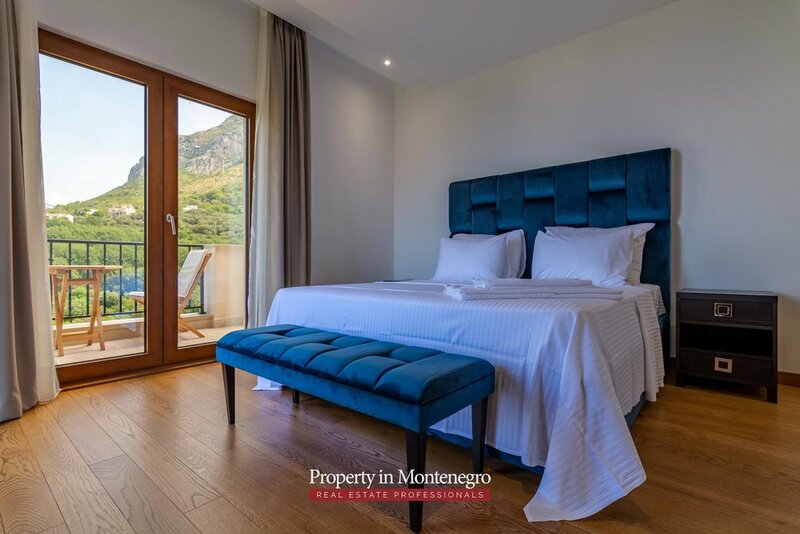 The property is fully furnished with many modern features, such as floor heating, irrigation system, aluminium frames for windows, 3 layer glass, providing good isolation for the whole property. The 7m swimming pool will be the place where you can spend most of your time during summer, while the living room with the fireplace will be the main spot during winter, especially during lazy days when you do not want to leave the cosiness of your home. The property provides two parking spots onsite.